Under Construction. This upscale & magnificient two-story single-family home is the perfect vacation get away for you and your family. There are eight bedrooms and five bathrooms. The master bedroom, located on the second floor, has a private bathroom with a tub, separate shower, and his and her sinks. Additional rooms include a family room, recreation room, media room and loft. Have your coffee on the enormous covered patio and enjoy your backyard views. 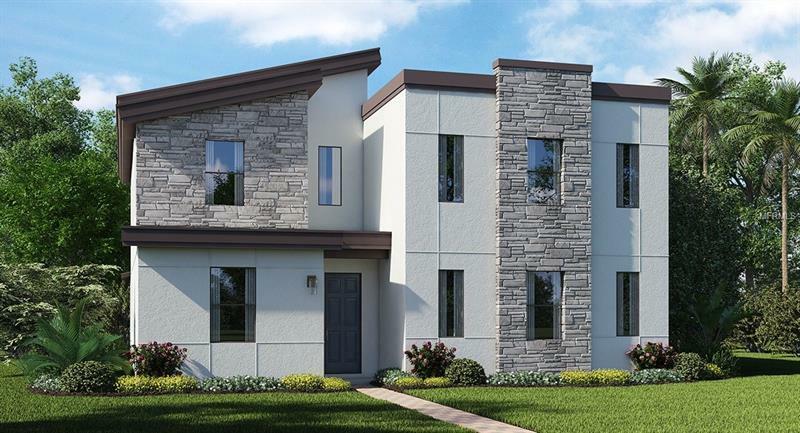 This beautiful home is located in Lennar's newest Master Planned Community, Storey Lake, where Central Florida's major attractions are just minutes away. Walt Disney World is located just 5 miles West, Lake Buena Vista and Disney Springs are just 3 miles North, the Loop is just 2.5 miles East and the Orlando International Airport is just 15 miles away. Many luxury features like quartz counters, 42" cabinets, slate appliances, window blinds, and more are all part of Lennar's Everything's Included Package. The fun never stops, amenities include: Tiki Bar/Grille, Canoe/Kayak Rental, Lazy River, Fitness Center, Miniature Golf, Quiet Pool, Splash Pad, Double Slide, Volleyball Court & Sports Court. Come see why many residents have already made Storey Lake their home.